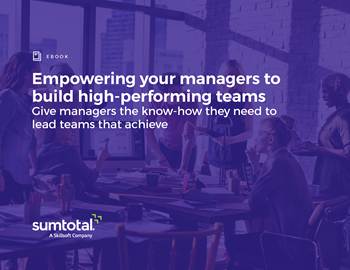 New managers often struggle to effectively guide, motivate and support team members with different work styles, skill sets and professional goals. These leaders play a huge role in team success, employee engagement and many other factors that impact your business—including revenue. You can’t entrust your staff—or your organization’s overall performance—to mediocre managers. You need a squadron of stars, not an army of average. Learn which leadership skills matter most, then create a focused plan to get your managers up to speed doing what you want them to do—leading their teams to success.